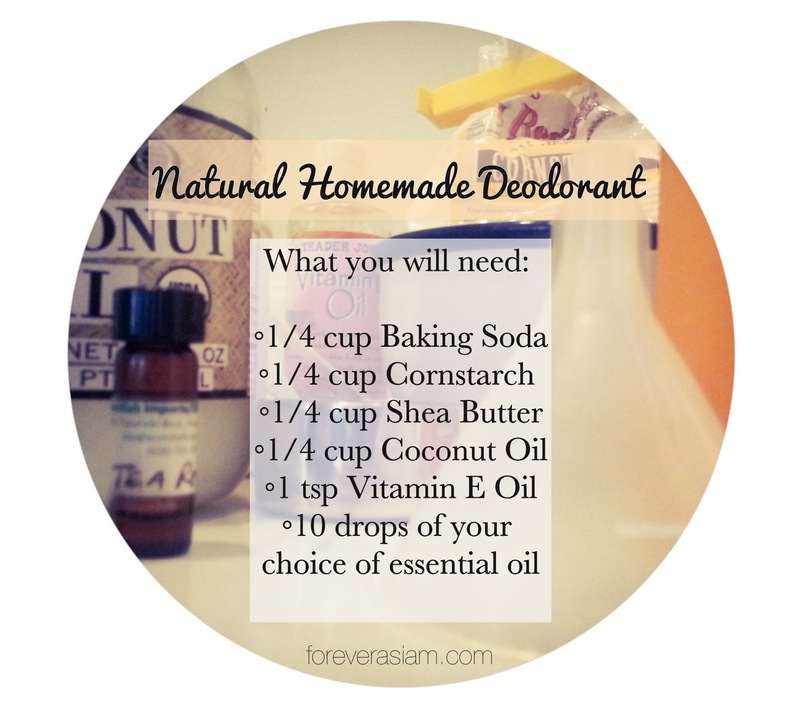 Dangerous Deodorants & A Healthier Alternative | .forever.as.i.am. ← To Bleach Or Not To Bleach? Now everyone, (well hopefully everyone…) knows, if you don’t want to smell like stank sweaty pits and be shunned by society you have to use deodorant of some sorts in its many forms. Whether you use roll on or sticks, the process is always the same. Step 1. Grab your favorite brand of deodorant (hopefully not one where hot chicks miraculously appear -_-) Step 2. take off cap. Step 3. lift arm, apply as needed to pits and *wallah* you’re a civilized human being again smellin’ like a forest full of freshness about to go on with your day but, not before you recap that bad boy. “The primary ingredient used in most antiperspirants is aluminum. Aluminum is a metal, which is used in antiperspirants to help block the sweat from escaping the pores. Aluminum has been linked to breast cancer in women and has also been linked to an increased risk of Alzheimer’s disease. Paper towels. 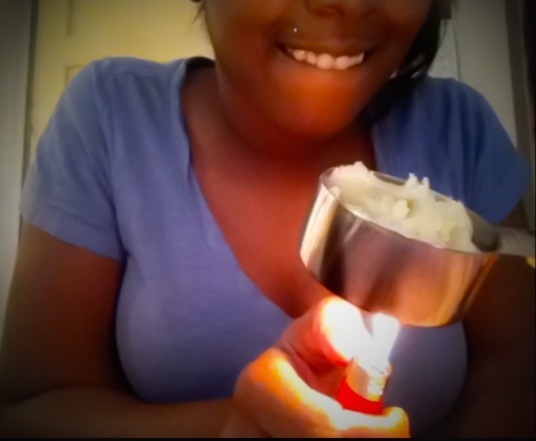 This can get messy. 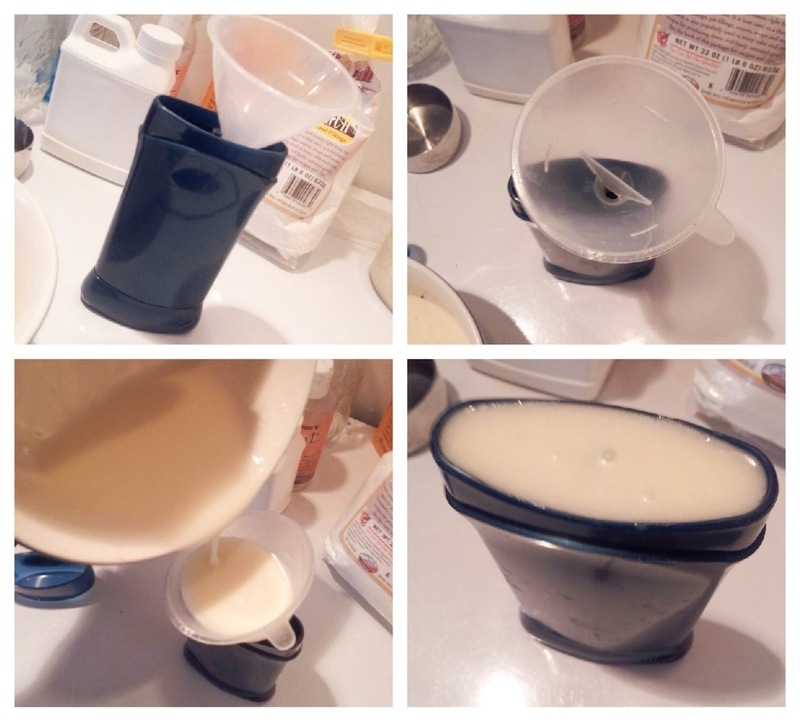 I had been really interested in making all natural deodorant for a while but like most people I was super skeptical of it working and imagined the worst possible situation, where I end up being stank at school @_@ So I put it off for a while but after a couple of months using the regular stuff and noticing I had to apply it like twice a day knowing all the things I knew about it, I was like oh hell no. Now I’m not a particularly “excessive or stinky sweater” but like normal people, I do sweat and b.o. Is not cute. 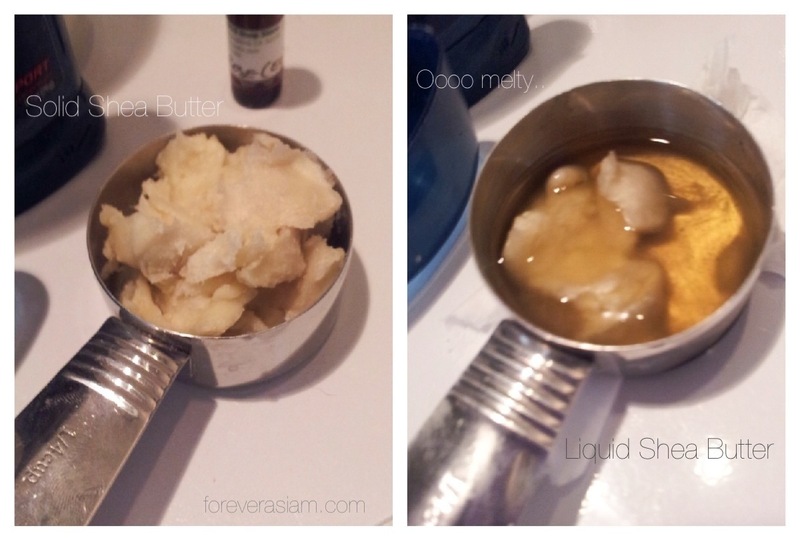 I finally broke one day after having to buy some new coconut oil and made some. I was kinda scared because I didn’t have beeswax, which is essential if you want to store your deodorant anywhere without it melting but I said “thug life” and got to mixin’. It wasn’t even hard like, not even a little. After I got it all nice and meltaay, into the bowl it went. I chose Tea Rose essential oil for the fragrance. Now my pits literally smell like roses haha. Next I grabbed my container and funnel and began to fill it up. This recipe made exactly enough to fill the container all the way. Now not photo’d, I put the cap back on the deodorant, turned it upside down and put it in the fridge to harden. This is important if you want to have a smooth top surface for rubbinz’ and if you want the turny thingy to work at the bottom. It came out perfect! The smell is amazing and I’ve realized after a couple weeks using it that my sweat is nearly non-exisitant and when I put it on in the morning it lasts alllllll day. . . and the next. lol. And b.o. smell? How about no. I know its gross but in the beginning I was expecting it not to work, so all day I’m like viciously rubbing fingers in my pits betting that it will smell but to my surprise, NOTHING. The baking soda coconut oil combo DESTROYS any smells my armpits try to make and replaces it with the awesome scent of light coconutty rose. Ahhh 🙂 My pits are smooth & happy. 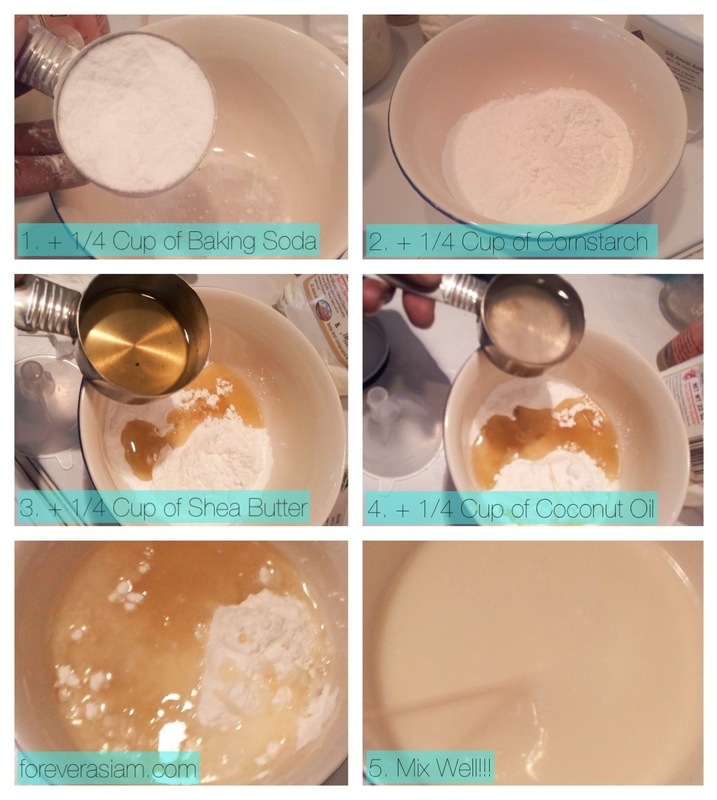 IMPORTANT NOTE: Since this recipe does not have beeswax it melts very easily in warm temperatures. To avoid this, store in the fridge, add the needed beeswax, or learn to love deodorant paste you have to apply by hand. Also if you do forget, like me, leave it out and find yourself with a melted mess, just put the cap back on turn it upside down again so it all falls in the cap and place it back in the fridge. *Wallah* Like brand new. But if you’re reeaallly forgetful, I suggest just adding the beeswax so it can be stored at room temperature. But there you have it! It is a really simple process and I think everyone should at least try it to see how it goes. Who knows you might like it. I feel much better knowing exactly what is being put into my deodorant and ending up in my body. It’s cheaper than regular deodorant. It doesn’t contain harmful chemicals like aluminum ( linked to increased risk to Alzheimer’s disease.) Parabens ( disrupts hormonal balance, birth defects, & organ toxicity.) Propylene glycol (damage the central nervous system, liver and heart.) Phthalates ( hormone disruption and high birth defect rate.) or Triclosan (an FDA classified “pestiside” all found to be extremely harmful to human health.) You can make it smell like anything you want! Pretty much infinite supply! You don’t have to search online for some all natural company to buy from, and of course no shipping rates. Who doesn’t love that? So do it for your pits y’all, they’ve been by your side all your life. Question! Have you only used the turn up deodorant tube, have you tried a roll on? I really want to try this asap, would u recommend I go buy a standard deodorant like the one you have pictured and just take out the contents? Sorry I have not tried with the roll on but I’m pretty sure if you know how to open it up and refill it without breaking it you could probably do it, and with it in the roll on container you probably wouldn’t have to even refrigerate it. Hmmm.. Buttt if that doesn’t work yea I’d suggest picking up a cheap one from the 99cent store or something and just refilling it 🙂 hope everything goes well!